Have a happy and safe new year! May 2013 be full of blessings for you and your family. Before we had kids, we went to a New Year's Eve party every year at our friends' house. It was great, because it was an overnight party and we didn't have to worry about people making it home safely late at night. We would eat a lot of food and play a lot of games and have a few drinks. There were a number of appetizers and desserts that we would enjoy. Most years at our house, we do an appetizer (small bites) meal for dinner for New Year's Eve. Chicken and Salsa Tortilla Bites - combine Hormel Chunk Chicken, a cream cheese spread and some salsa. Roll up and enjoy. Salsa and Cheese - spread the tortilla with cream cheese, sprinkle with cheddar cheese and add some salsa. Roll up, slice and enjoy. Turkey/Ham/Bologne and Cheese - choose your favorite lunch meat, sliced cheese and mayonnaise or dressing to create a personal favorite. Roll up and slice into bit size pieces. We also enjoy meatballs. My favorite is turkey sausage meatballs and pineapple in a sweet and spicy sauce. Combine the sauce ingredients and pour over the meatballs and pineapple. Bake at 250 for 2 hours. Serve with toothpicks. I like to put this in a small crock pot for serving at a party, so that it will stay warm. You could also do traditional Italian meatballs heated with spaghetti sauce and serve them on mini-buns with mozzarella as a mini-meatball sandwich. What other type of appetizers does your family enjoy? Do you have a traditional New Year's Eve Menu? No compensation was received for this post. All opinions expressed are mine or those of my family. I am completing this post as a participant in the Hormel Foods Extended Family Blogger program. Hormel Foods provided a thought starter and some of the information for this post. Looking at the CVS ad this week, it would seem that if you are in need of any P&G products, this is the week to stock up. Unfortunately, I am good on laundry detergent, shaving supplies, shampoo/conditioner and toothbrushes/toothpaste, so none of them really are appealing to me. There are a couple of deals that I might pick up though. Total $1.25 OOP. Earn $.75 ECBs. A net cost of $.50 for all of the above ($4.75 at sale prices). A savings of about 90%. There are two apps that I have been using lately to earn money back on the stuff that I already buy. Endorse is the first one. I started using Endorse last year when they were still in their early stages. It was a great way to earn money back, you simply liked a brand or store through their Facebook application and mailed in your receipts. I am happy to say that they have revamped their model and it is much easier and more flexible. Now, when you purchase the items that are part of this week's offer, you simply use your camera's phone to scan the receipt and submit. You can use one receipt for multiple offers, but you can not use multiple receipts for the same offer. Most of their offers are a % of your purchase up to a certain total $. As an example, just this week there is an offer for 50% back on the purchase of beer or champagne. You buy what ever amount and what ever variety you prefer and you can redeem that receipt for up to $10 back. I tend to review the offers before I head to the store. That way, if they have a yogurt offer, as example, I can see if it is on any yogurt or is for a specific brand. I can also see what the limit is. If it makes sense, I like to make my purchase to maximize the earnings. Coupons are deducted, so sometimes to maximize the offer I have to buy a little more. In addition to giving you cash back on the products that you buy everyday, you can also benefit a local school with every receipt that you upload to fund local school projects in partnership with DonorsChoose.org - even if you don't buy one of the offers, you can still earn points to support a local school. You can cash out to either your PayPal account or have a check sent. When I have cashed out with PayPal, the funds arrived almost immediately. You can sign up for Endorse here. Have you checked out Ibotta yet? I am newer to Ibotta, but so far I like it. There seem to be more offers, but they are more item specific. Plus, you need to answer survey questions, watch videos, read recipes, etc. to redeem the full value on the offers. Not a big deal, but a little more effort to get the offers. 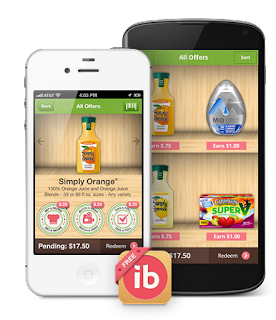 Ibotta pays you up to $40 every time you shop and now works at Harris Teeter, Quality Food Centers, and Giant Eagle too; among many other retailers including Target, Walmart, Kroger, Safeway, CVS, Rite Aid and more. Each offer is a specific amount back on a specific purchase. Most of the offers seem to range from $.50 to $1.75 each. The application is very straight forward to use. I scanned through it before heading to the store. That way, I can make sure what specific items are on my list and on the app. Sometimes, there might be an offer, that combined with a sale, makes me add something to my list, but usually, I stick to my list. Then, when you come home, use your phones camera to capture your receipt and submit. When you sign up now, you can earn a bonus of $5 after redeeming your first offer. You can choose to have the funds sent to your PayPal account or have it benefit the school of your choice. This post contains referral links. If you sign up, won't you please consider using these links. Awesome! That is my gut reaction to the recently finished Political Suicide. 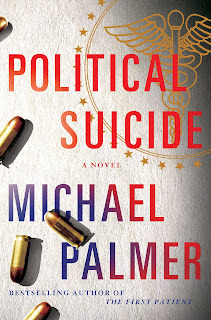 I was so excited to finally have the newest release from Michael Palmer, Political Suicide, and in a time-frame where I knew that I had extra time to devote to reading. This holiday break has been the perfect mix of spending time with the kids - playing in the snow, playing games, building Legos, swimming, bowling and more; reading books; and watching several movies - some days two or more movies. I have been a fan of Michael Palmer for over 16 years. I picked up my first Michael Palmer book on a trip at the end of college. There was a trip planned each spring and was open to all students. After my senior year, a number of friends decided to take the road trip to Florida. I was doing a lot of reading and needed a new book to enjoy on the beach. There were two books I was considering, but I chose the Michael Palmer book Natural Causes. And, I was hooked! There is something so captivating about the writing of Michael Palmer. After reading Natural Causes, I worked my way through all of his other novels and have reached a point that I have to wait on each new book to be published. His books are so authentic. With him being a practicing doctor, he writes with authority and just the right level of detail around the medical portions. When I am reading one of his books, I find myself not wanting to put the book down. Political Suicide, his just released 18th novel of medical suspense, did not disappoint. It was captivating from the start. Political Suicide brought back a couple of the characters from Oath of Office - so from the beginning, I already knew some of the characters - but if you haven't read Oath of Office, you would have no trouble jumping right in. Dr. Lou Welcome, receives a call from Dr. McHugh, his friend and a fellow doctor that he has been supervising through his work in the Physician Wellness Office. Dr. McHugh implores Welcome to help him get to the bottom of the mystery - who actually killed Congressman Colston? - shortly before McHugh is arrested for the murder. As Dr. Welcome starts to dig into things, he discovers that there are several layers to the cover-up and puts himself into position as the next target. Will he find the evidence needed to help clear his friends' name? Will he become the next victim in the cover-up? I would love to tell you more, but then there would be no point in reading the book. I highly recommend this book to anyone that loves a good suspense. There is even a developing love story that is woven into the thriller - a nice soft touch to the otherwise suspenseful thriller. Of course, the blossoming love also serves to heighten the suspense for the reader, when one or the other finds themselves in a precarious position. You can pick up the newest release at your local book retailer or online. 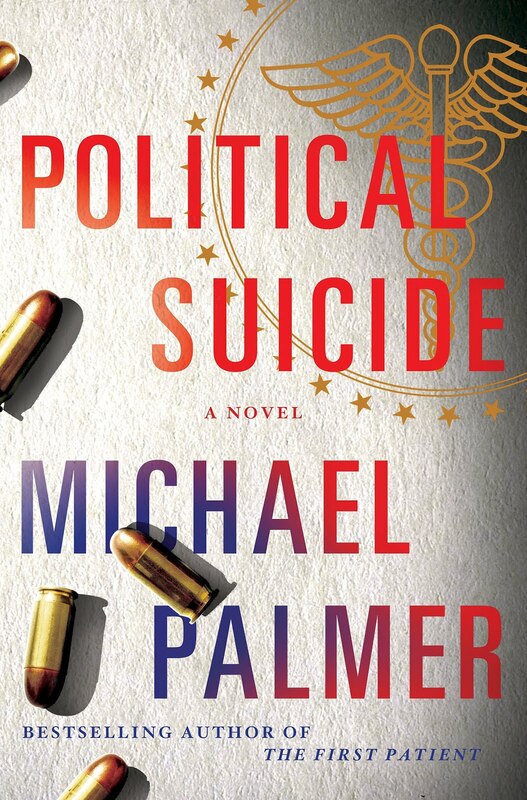 One lucky A Busy Mom of Two reader will win an auto-graphed hardcover copy of Political Suicide. Giveaway will remain open through January 10th. Giveaway is open to residents of the US only. One winner will be selected through Rafflecopter. The winner will have 48 hours to respond or a new winner will be selected. No compensation was received for this post. An advanced reader copy of the book was provided for my review. All opinions expressed are entirely my own or that of my family. Congratulations to Ronalee. Her entry was selected as the winner of the Little Caesars Gift Card giveaway. Thanks everyone for entering and be sure to check out other giveaways. I don't know about you, but it always seems that after all of the fun and excitement of the holidays, life seems a little blah. Fortunately, there are still a few more days left in this holiday break, but I already find myself thinking, what will we do after the holidays. Here in North East Ohio, when you consider the weeks and months of cold and snow that likely await us, it starts to make me wonder how to mix it up and get away. For the past several years, we have planned a get away to an indoor water park. There is certainly something to be said about wearing your swimsuit and splashing around in a water park, while snow gently falls outside. It is great to feel warm and escape the constant chill that seems to be a part of winter. Plus, after a few weeks of normal life, it is good to have something to look forward to. The fun of a water park certainly helps to break up the blahs of winter. Why not consider booking a trip for your family in January or February? Don't forget to consider a trip to the spa to pamper yourself too! Don't forget, you can still take advantage of the special package offers for A Busy Mom of Two readers at Kalahari Water Park in Sandusky, Ohio or the Wisconsin Dells. Disney On Ice presents Rockin' Ever After - coming to Cleveland! Disney on Ice presents Rockin’ Ever After is coming to the Q January 11-21, 2013!! I know that the Little Princess in my life is excited when the Disney Princesses come to town as part of the Disney on Ice show. There is just something so exciting about seeing so many of our favorite princesses out on the ice together. We always like to make an outing of it and head to lunch/dinner before or after the show. Last year, we even ran into a fan dressed as Rapunzel at lunch and had our pictures taken with her. Rockin’ Ever After is the ultimate rock star princess experience! This action-packed new skating spectacular features world-class skaters and hair-raising moments from the hit animated films Brave, Tangled, Beauty and the Beast and Little Mermaid. The show features classic and new Disney princesses – Merida, Belle, Ariel and Rapunzel – who rock out with show stopping performances. The show also features contemporary “rock star” music to keep the audience rockin’ and rollin’ throughout the entire show. Rockin’ Ever After is the newest Disney On Ice production and has never traveled to Cleveland, Ohio before. Buy 4 tickets, get 4 FREE hot dogs and 4 FREE sodas using code: FAMILY the Quicken Loans Arena Box Office, theQarena.com or by phone at 888.894.9424. Not valid on Saturdays @3PM or Sundays @1PM. Can buy any number of tickets, not just in 4 packs. One lucky A Busy Mom of Two reader will win a family 4-pack of tickets to Rockin' Ever After at Quicken Loans Arena in Cleveland. Giveaway will remain open through January 8th. Giveaway is open to residents of the US only. Winners will be selected through Rafflecopter. The winners will have 24 hours to respond or a new winner will be selected. No compensation was received for this post. I received four tickets to show as a Feld Family Blogger. All opinions expressed are entirely my own or that of my family. Yes, I was one of the crazy people that went out on Christmas Eve to do some shopping. I needed to get to the grocery store and I had sold some things on a mom site that I am a part of and needed to meet up with the woman to make the exchange, so I decided that a trip to CVS could fit in nicely. I was glad that I went, I hadn't realized that their ad was only for Sunday and Monday and that a new sale started on Wednesday. I had to get a rain check for the toothpaste, as they only had one tube of kid's Crest. Paid with $3 and $3 ECB and $.04 plus $.62 tax OOP. Earned $3, $1 and $1 (green bag) ECBs. Candy aside, I basically got free medicine and toothpaste, paying $2.04 plus tax for all of the candy. "Hoping to escape the poor conditions of 1880 New York, Tarsie Raines and her friends Joss and Mary Brubacher and their two children set off for Kansas aboard an unusual wagon train. But when tragedy strikes on the trip across the prairie, Tarsie is thrown into a partnership with Joss that challenges all their dreams for the future. As their funds dwindle and nothing goes as planned, will they give up and go their separate ways? Or will God help them find a new dream — and a home — together?" I will admit it took me a while to get into this book. It took me a while to get past the first few chapters. Likely, it was because I tried to start reading it at swimming lessons. There were enough distractions, that I found myself reading the same paragraph over and over and therefore just couldn't get into the story. Once I finally found a period of time to sit down and actually get started in the book, I quickly got caught up in the story and found myself sneaking any few minutes that I could string together to read the book. It was a good story. I enjoyed following the story as the family of four and their friend traveled together with the wagon train west from the dirt and grime of New York City to the promised benefits of Drayton Valley, in Kansas. Unfortunately for the group, the journey was fraught with challenges and things didn't get easier once they were in Kansas. The story addressed not only the challenges of the family, but also addressed the issues of racism - in both directions. Through the course of the story, new, and unexpected bonds were formed. Friendships were formed and love found, as the group completed their journey. We found those without faith come to find God through the examples set by others. I am generally a fan of period literature. I find something so fascinating about the simpler times, and enjoy learning new perspectives on the challenges faced by those that lived in those times. This book, being set in the 1880s, certainly fit into that category. This book is an enjoyable story of journeys - physical, emotional and spiritual journeys. I enjoyed the writing style of Kim Vogel Sawyer and look forward to checking out other works by the author. No compensation was received for this post. A review copy was provided for me to read and share my thoughts. All opinions expressed are my own or that of my family. I will be the first to admit that the CVS deals are not that exciting this week. I also will say that I was a little bit disappointed to see that CVS is open on Christmas. It used to be that most places were closed on Christmas. The only places I can remember being open - a handful of gas stations (but not all), Waffle House and the movie theater. Now, it seems like more and more places are open, for limited hours, but open none the less. Christmas is about family. Those workers are not able to join their families and who is shopping? Sure, it is nice to know that if you need some pain medicine or cough medicine, that there is a place to go, but at whose expense? I think I might stop out to pick up a couple of things on Christmas Eve, because their toothpaste deal includes the kids' variety, which never seems to be included. Total $2.98 OOP, earn $2 ECBs. Total $2.98, pay with $2 ECBs and $.98 OOP. Earn $3 ECBs. For the trip, the total OOP is $3.96, with $3 ECBs to roll, for about $14 in product at sale prices, a savings of about 77%. For more deals and scenarios, check out Deal Seeking Mom and Money Saving Mom. For more $5 Scenarios, check out the CVS $5 Challenge. UPDATE: After I hit publish, I realized that if I flip these two transactions, I actually will only pay $2.98 OOP for the medicine and can pay with an ECB reduced to $2.98 for the toothpaste. This will leave me with a total of $2.98 OOP, with a $2 ECB to roll for $14 in product, a savings of 81%. "Imagine the look of wonder and surprise when a child receives a photo of Santa and Rudolph caught in the act in his or her very own home. iCaughtSanta.com is a unique website that helps visitors create those memorable keepsake photos. And for even more holiday magic, iCaughtSanta.com is giving away 2 iPads! No purchase necessary. Enter here: www.iCaughtSanta.com/Contest"
A few days ago, I was looking through the coupons on Coupons.com and saw that there was a coupon for Hello Kitty Body Wash and Hello Kitty Soap from Dial. My daughter is a huge Hello Kitty fan, so I printed off one of the Body Wash and a couple of the soap ones and asked my husband to as well. The soap is currently on sale at Giant Eagle at 10/$10. Since the $.50/1 coupons all double at Giant Eagle, it makes them free. The body wash was not on sale, so I will hold on to that coupon for a future opportunity. Total $0.16 tax. My total was actually much more, as this was part of a standard grocery trip, but all the four soaps cost was tax. I never got around to posting the CVS deals this week, but surprisingly with the busy pre-holiday season, I was still able to make it to the store. I will try to go again to get my Clear Shampoo Sample bottle with the coupon that is available on CVS.com, but that might just have to be a spur of the moment visit. Paid with $3 ECBs and $0.98 ($.48 + $.50 tax) OOP. Earned $3 ECB for the toothpaste. I noticed that the Beauty Club spending says 2012 on it, so I might need to make an effort to finish out the current $50 in the next week or two, so as not to lose it. Does anyone know for sure when that will roll over to a new year - is it January 1? If you are a parent of a child that talks, you have heard on at least one trip, are we there yet? It has a close second at my house in, are we done yet or can we leave yet. There is a certain measure of patience and excitement associated with these familiar childhood questions. After several hours in the car, I start to feel the same way too! The book "Are We There...Yet?" is the first edition of a five-part series titled "The Little 5 Watering Hole" and tells the story of an elephant family as they embark on their annual summer trek across Africa's Great Kalahari Desert to reach the cool waters of the Okavango Delta. The story takes peculiar notice of the family's baby, Tiko, as he experiences this journey for the first time - bringing to life his excitement, challenges and achievements throughout this great adventure. Typically, you think of books inspiring other things, but in the case of "Are We There...Yet? ", the opposite was true. The book was inspired by a recently installed, state-of-the-art Kids Play Zone named Tiko's Watering Hold, located at Kalahari Resorts in Wisconsin Dells. In an effort to design a space that was perfectly suited for tiny tots, Kalahari Resorts reached out to moms to gain their knowledge and insights throughout the development of the project. Based on their feedback, Kalahari debuted Tiko's Watering Hole - a 5000 square-foot play area that features a 200 foot long lazy river, 12 slides and a variety of activities that inspire parent and child interaction, while piquing their curiosity and imagination. Published by Kalahari Resorts and featuring unique writing and illustrations of Christie Morris of Weber Group Inc., the 11 page book is currently available for purchase onsite at the Kalahari Resorts in Wisconsin and Sandusky. A Tiko elephant plush will be available to accompany the book in January. Don't forget, you can still take advantage of the special package offers for A Busy Mom of Two readers at Kalahari Water Park. One of my favorite gifts to share at the holidays are my homemade cookies. I enjoy making a variety of cookies and enjoy that I can give them as gifts to others. Each year I experiment with new recipes (this year, the new recipe was M&M Pretzel Bark. You can find many of the other recipes over on A Busy Mom of Two in the Kitchen). Assembled together on a plate (or in a bag), they are nice to share with others. When it comes to neighbors and co-workers as a whole, my goal is to help spread holiday cheer. For my neighbors, I like to put together a small plate of baked goods to share with them. I drop them off along with the Christmas card. It allows for a quick visit, during the cold time of year where we tend to see less of each other because we aren't outside playing. I also like to take a large platter of baked goods to work to share with everyone (although, I find myself eating more than one!). For the kids teachers, I know that they are getting a number of gifts and try to avoid filling their life with more clutter. When my kids were first in daycare, I struggled with what I was going to give their teachers, I have a friend who is a teacher and she said - no apples, no smelly stuff and no mugs. Okay, that helped narrow things down a bit, but I still wasn't sure what to give. So, I thought, why not make a plate of tasty treats that they could eat or share with friends and family that visit during the holiday season. For the teachers I decided it would be better to give them a plate that they could use over and over again, instead of the typical paper plate I use when giving plates of cookies to neighbors. I headed out to the store and found some really cute little square plates. >placed them in food gift bags and tied them with a tag. I got a nice of lot compliments and thank you notes from the teachers. I've had teachers who didn't have my kids express disappointment that they didn't have one of the kids in their class at Christmas, so they could get the holiday treats. Now that the kids are older, they help me with baking the cookies and making the candies. Which, of course, makes it an even better gift for them to give to their teachers, because they helped make it. Homemade treats and a fancy plate as a Christmas gift for teachers works for me. I also have started to use treat bags to allow me to share more cookies with more people. It is great to get to bake (something I really enjoy) and to share with others (especially those that have expressed appreciation because they don't or don't have the time to bake). I suppose it is Tuesday already and technically, I plan the week's menu on Sunday, so that I can shop on Sunday, but here is my plan for this week. Our deep freeze needed to be defrosted, so on Saturday, I moved everything from the deep freeze into our two refrigerator freezers. I decided that I should start to use up that stuff, so I am cooking from the freezer this week. I have started to make a dent and intend to use it up, rather than return it to the deep freeze - with the exception of the cheese and butter that I will move back. I love to have things that can occupy my children that do not involve any type of a screen. Certainly, they get outside to play, but I like to have indoor activities too. One thing that we enjoy doing inside is arts and crafts projects. I love to have both structured kits that are designed to make a specific project and assorted craft supplies to make whatever suits their fancy. Since I think that kids learn best when they can both observe and participate, I like to embody creativity myself in the form of cake decorating, creating memory boards and making things like Tinkerbell Shoes. Crayons, Paint, Scissors, Glue, Paper, etc. - For basic art projects, a good collection of school supplies can be a great starting point. I like to stock up when the back to school sales are on. Then, you can take this collection of random items and add to it to create a 'kit' of supplies. Pipe cleaners, PomPoms, Sparkles, Glitter, Tissue Paper, Scrapbook paper and embellishments, etc. - Wander down the craft row and you will find a collection of miscellaneous things that with the addition of some creativity quickly turns into a fun-filled afternoon of crafting. Stencils - Sometimes, the help that stencils can provide in creating a project is a great boost, especially for younger kids that are not as adept at drawing or coming up with ideas. A card is quickly made filled with flowers and hearts and more. Learn to Draw Books - A simple to follow learn to draw book can help a child feel more confident in their ability to draw - even freestyle. There are books for all levels - from complete a drawing to recreating familiar characters. Creativity for Kids kits - They offer such a wide array of projects and price ranges. Many of their products hearken back to my childhood - like Shrinky Dinks and Pot Holder Looms. They have kits for boys and kits for girls. Kits for the young and the old (in fact, most say they are for kids from a certain age to 99). They offer crafts that the kids can make for themselves (jewelry, bags, headbands) and gifts to give (pot holders, garden stones). Latch hook, Needlework, Cross-Stitch, Crocheting/Knitting, etc - Whether a book or a kit, introducing the child to these activities can help them fill many hours and encourage fine motor skill development. I remember spending hours as a child, much with my cousin, creating latch hook rugs, some of which became wall hangings and others pillows. I know that (when I had time), I loved to do cross-stitch - I even cross-stitched the gifts for the parents at our wedding - a verse from a card that I recreated in a cross stitch and that we framed with a picture of us with the parents. I can remember doing cross-stitch guest bath towels and baby bibs, to give as gifts, too. Classes - Why not give your aspiring artist/crafter a gift of enrollment in a class. Locally, there is both community education, courses at Joann or Michaels, Kids College and other groups that offer classes on different topics. There are card making classes and watercolor and photography and many more. 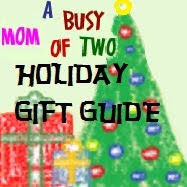 Not sure what the young crafter in your life might need or like, a gift card to Joann or Michaels Stores is a good option - let them choose their craft or supplies. Congratulations to Jennifer! Her entry was selected as the winner of the Yo Gabba Gabba ticket giveaway. An e-mail has been sent to the winner. Thanks everyone for entering and be sure to check out the current giveaways, posted on the right side bar. When you think of the impact that one person can have by being green, imagine the impact that Kalahari Resorts with the world's largest indoor water park can have when make it a priority to maintain Eco-friendly practices to help reduce water and energy consumption. They feature low energy consumption water pumps throughout the parks, use low-flow dishwasher spray heads and low-flow shower heads that reduce water consumption by 2.46 million gallons/year. They use roof top solar panels to heat more than 50% of the hot water for the resort's facilities. They use low energy consumption pumps to move the water in the park and are installing massive fans to lower heating costs by pushing the warm air near the ceiling back to floor level. They also are upgrading to digital thermostats in guest rooms. In fact, they were the winner of the 2006 Partners for Clean Air Recognition Award and continue to lead the hotel industry in energy conservation and reduction of our carbon footprint. They partnered with Clean the World organization, the largest global recycler of hotel amenities, to collect and recycle their resort soaps, shampoos, conditioners, lotions and gels to help fight the global spread of preventable diseases - helping to prevent the millions of deaths that are caused by hygeine-related illnesses every day. Personally, I think that it is great that they are doing so much to help keep the planet a great place to live. There are things, like recycling soap and shampoos, that I never would have even thought about, but certainly with all of the 1/2 bottles of shampoo that we have left behind on various stays, I can imagine that it adds up really quickly. I kept missing them - they were out by the time I checked. I don't know about you, but sometimes when life gets busy like it does as we prep for the holidays, I am thankful for the opportunity to take a break from cooking and pick something up for dinner. With the $5 HOT-N-READY Large Pepperoni Pizza and the $6 HOT-N-READY Caesar Wings, Little Caesars is one place that this can be easily done. Of course, I would have to add in an order of their Crazy Bread, because I simply can't resist it. Have you seen their new commercials? I enjoy the quirkiness of their commercials. Picking up a large, HOT-N-READY pizza from Little Caesars is so easy, why even a mime can do it! No calling, no waiting, just a large, pepperoni pizza, fresh out of the oven, whenever you walk in! 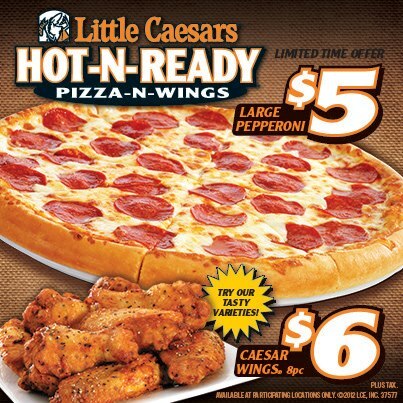 And don't forget to add a delicious order of our HOT-N-READY Caesar Wings! 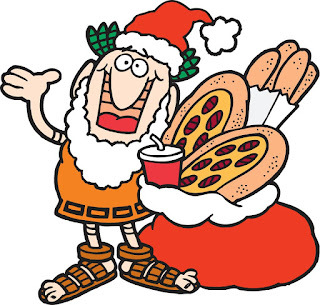 Learn more about Little Caesars on their site or find a store near you here. Join up with Little Caesars on Facebook and Twitter. Courtesy of Little Caesars, I have the opportunity to give away to 1 (one) A Busy Mom of Two reader a $10 Gift Card to Little Caesars. You could try both their $5 HOT-N-READY Large Pepperoni Pizza and the $6 HOT-N-READY Caesar Wings, for only $1 with this gift card. Giveaway will remain open through December 26th. Giveaway is open to residents of the US only. One winner will be selected through Rafflecopter. The winner will have 48 hours to respond or a new winner will be selected. No compensation was received for this post. Little Caesars provided my family with a $5 gift card, as well as the information for this post and the gift card for the giveaway. All opinions expressed are entirely my own or that of my family. Sister's Christmas Catechism: The Mystery of the Magi's Gold - Winner! Her entry was selected as the winner of the tickets to Sister's Christmas Catechism: The Mystery of the Magi's Gold giveaway! Thanks everyone for entering and be sure to check out the other giveaways! Are you stuck for an idea for someone that has it all? Something that almost anyone would love is a gift of pampering. When I say pampering, I also consider indulgent treats to be a part of pampering. Spa Gift Certificates - You can find spa gift certificates that are for a specific services or a specific spa. Not sure what service or which spa, then you can go with a SpaFinder or similar gift certificate that is good at several locations. We happen to live near a Massotherapy School. They offer spa treatments at a discount to spas, it is the students who need to get in their hours that do the treatments, but we have been pleased with the treatments we have had there. I have used gift certificates there for gifts for my husband. Restaurant Gift Certificates - Sure, you could stick with the standard, but why not allow your gift recipient a chance to try a restaurant that they wouldn't normally take themselves to. By choosing a special restaurant, it becomes a more indulgent treat than the everyday. Know your restaurant though, if the restaurant you choose has an average table tab of $75, a $25 gift certificate might be nice, but that $50 difference might make it something that they aren't comfortable enjoying. So make sure that the gift certificate will cover the majority of the ticket. On the flip side, don't get $100 if the ticket is normally $75 - they will either be trying to over-stuff themselves or they will potentially leave part of the certificate unspent. Using Restaurant.com or Groupon or Living Social, can help you to find some great deals on restaurant certificates. Wine/Beer Club - Does your gift recipient enjoy a nice drink and like trying new beverages? Consider a membership to a wine or beer of the month type club. There are several out there and they are available in both different lengths and different quantities per month - so, you are able to find one that fits your budget. Not finding one that is within your budget? Consider visiting a local wine or beer store and working with their experts to build your own sample pack. Chocolate - As a self-admitted chocolate fan, it was hard to not include a nice box of chocolates as a potential indulgent treat for a holiday gift. Now, you can pick up a box of chocolate anywhere, but if you head to a confectioner (or online) you can typically customize your box. This will allow you to fill the box with treats that your recipient loves - dark chocolate sea salt caramels or turtles or creams or solid chocolates. Now, you could take this a step further and go with chocolate covered fruit - either in a box or go with a bouquet/basket from Edible Arrangements. House Cleaning - You could pamper your gift recipient with house cleaning. Perhaps you provide a gift certificate for them to use your services for a day of house cleaning or you find a reputable local firm that you can pay for a day (or more) of house cleaning. Maybe it's not general cleaning that they would appreciate, maybe it is someone to come out and wipe down cupboard doors and do some other deep cleaning. Either way, this day off is likely to be much appreciated. What other indulgent/pampering gifts do you give? When it comes to new music, I frequently need to hear a song several times to decide if I like it. I think in part it is that I enjoy being able to sing along and when I hear songs the first few times, I can't sing along. I think that some of this has rubbed off on my daughter. I find that when we are in the car, she is not willing to listen to the radio, because she doesn't know all of the songs, but once she knows a song, she will sing along and will sing it even when it is not on. One artist that she seems to know a lot of songs by is Taylor Swift. Her favorite is what she calls "I warm the bleachers" but what most people know as "You Belong With Me". 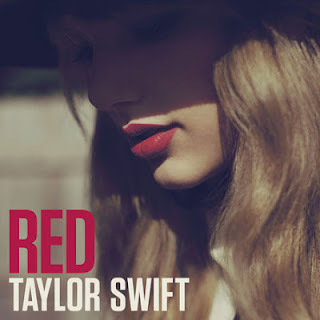 Lately, I have been listening to Taylor Swift's new CD - Red in my car. So far, I have enjoyed the music. I have listened to it several times. Of course, there are a couple of radio hits already from the album (clearly some of them came out before the album did). As I listen to her music, I always wonder what her inspiration is, where she gets her ideas. I have heard that she bases much of it on her life and former dating relationships. This surprises me a bit, she has a lot of songs about break ups and heart break and yet she is only 23 years old - how much heartbreak can a young woman of 23 have experienced. I also think that much of her music seems much more mature than her age would suggest it should be. Either way, I enjoy listening to her music and this album did not disappoint. I was a little surprised to find out that my kids were familiar with a few of the songs on a recent car trip. I always wonder where they learn new music. They pretty much just listen to what is playing in the car or the music on their iPods. Now that it is the school year, they rarely ride with me and my husband tends to not listen to the radio, but to his own music. 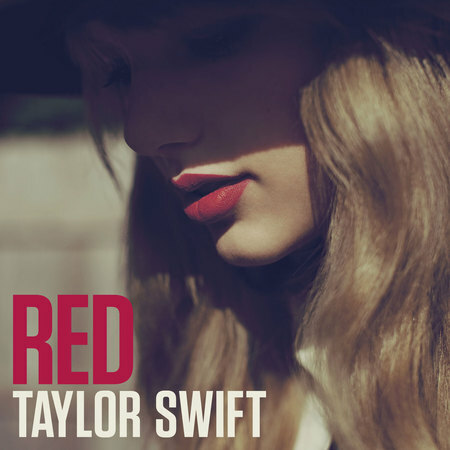 When "I Knew You Were Trouble" came on the radio, I was not surprised that it was familiar to me because I had been listening to the album, but was surprised that my kids already recognized the song. My son even knew it was sung by Taylor Swift, by name. No compensation was received for this post. A complimentary copy of the CD was provided to me. All opinions expressed are my own or that of my family. We have taken several trips to indoor water parks, but typically when we go, we don't venture much beyond the water park and the room. One of these days, when the kids are bigger and I can sneak off while they play with my husband, I really want to check out the Spa. Spa Kalahari features a full range of products. There is the In a Kalahari Minute - which includes a Zone Massage (25 min), the Kalahari Express Facial (25 min) and a Spa Manicure (25 min) - a perfect taste of several spa experiences in a reasonably compact time, so that you can have a touch of pampering and still spend most of your day playing with your family. Looking for some more intense pampering, they offer several massage options that are 50 minutes or 90 minutes in length. They even have them available for couples, if you can both step away. They also offer several body treatments including body wraps, salt scrubs and a sugar and butter scrub (sounds a little more like the makings of dessert, than a spa treatment). They also offer facials, pedicures and manicures. They offer waxing services too. You can even visit the salon for a hair cut. For the younger crowd, they do offer Kidz Spa treatments too. Can't choose just one service, consider a Spa Day Package and experience several of the offerings from their menu of services. You can learn more about the Spa Kalahari on their website. After many days of good intentions, I finally made it to CVS on Friday this week. I was able to cash in some rain checks and netted an essentially zero cost transaction in the process. 1 - mysterious item? @ $1 - wondering if it charged me for the green bag tag? Don't know what it would have been otherwise. Not sure that I will gain anything in going back to the store to ask about it. Paid with $2, $6.99 and $1.50 ECB and $.66 OOP ($.15+$.51 tax). Earned $1, $3, $3, $3 and $1 ECBs. Congratulations to Alicia! Her entry was selected as the winner of the Entertainment Book Giveaway. Be sure to check out and enter the current giveaways. Thanks to everyone for entering. I shared with you last week that Yo Gabba Gabba is coming to Akron Civic Theater and I shared yesterday about how I think tickets to live events can be a great holiday gift. 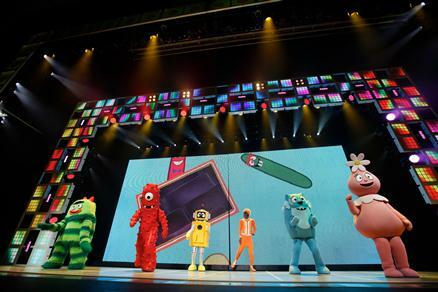 Now, here is your chance to win a family four-pack of tickets to check out Yo Gabba Gabba on January 22nd at 6:30 pm. YO GABBA GABBA - Get the Sillies Out! "Is your family ready to GET THE SILLIES OUT? Yo Gabba Gabba! Live! is going back on the road in 2013 with a new show, "Get the Sillies Out!" featuring the one and only DJ Lance Rock, plus Muno, Foofa, Brobee, Toodee, and Plex, and of course, hip hop legend Biz Markie. Winner of Billboard's Creative Content Award, Yo Gabba Gabba! Live! has performed in front of countless fans across the U.S. and Canada over the past three years, and the new show "Get the Sillies Out!" is sure to be one you won't want to miss. They have taken the fan favorites from the past two tours and combined them with some all-new music and other surprises that we can't tell you about- yet! Buy tickets or Gabba Party Packages (including a meet & greet with the characters) right away and give your kids an experience they won't soon forget. Plus, you'll have just as much fun as they will! For more information, visit http://www.yogabbagabbalive.com." "The show was awesome!!! My husband and I had a blast... oh yeah, our daughter did too (haha)! We danced the entire show... FUN FUN FUN!" "This is hands down the best children's show I have ever been to. The songs were great, the crowd interaction was great. The fact that Biz was there too and they had a real band (great band) come out for the Super Music Friends show was incredible. I will definitely go again when they are back in town." "I had sooo much fun!!! Can't wait til next year!" "We LOVED every minute of it!!!" "The look on my daughters face when she saw everyone come out was priceless!! Can't wait for the next show!" You can head over to Ticketmaster.com and purchase tickets. Ticket prices range from $25 - $45 for the show or $125 for the Gabba Party Packages (including a meet & greet with the characters). Courtesy of the Akron Civic Theater, I have the opportunity to giveaway a Family Four-Pack of tickets to see Yo Gabba Gabba - Get the Sillies Out on January 22 at 6:30 pm at the Akron Civic Theater. What a great holiday surprise this could be for your kids! Giveaway will remain open through December 17th. Giveaway is open to residents of the US only. Winner will be selected through Rafflecopter. The winner will have 24 hours to respond or a new winner will be selected. No compensation was received for this post. I received the tickets for the show, courtesy of Akron Civic Theater. All opinions expressed are entirely my own or that of my family. "It's "CSI: Bethlehem" in this holiday mystery extravaganza, from the author of Late Nite Catchism, as Sister takes on the mystery that has intrigued historians throughout the ages - whatever happened to the Magi's gold? ("We know that Mary used the frankincense and myrrh as a sort of potpourri - they were in a barn after all.") Retelling the story of the nativity, as only Sister can, this hilarious holiday production is bound to become a yearly classic. Employing her own scientific tools, assisted by a local choir as well as a gaggle of audience members, Sister creates a living nativity unlike any you've ever seen. With gifts galore and bundles of laughs, Sister's Christmas Catechism is sure to become the newest addition to your holiday traditions." You can purchase tickets online through Ticketmaster.com. There are two levels of tickets available for the event - $27.50 or $37.50. There is a special offer available on Ticketmaster for Me+3. When you purchase groups of four tickets, you can get them for $20.63 or $28.13 each (plus fees). Courtesy of Akron Civic Theater, you have the chance to win 4 Tickets to Sister’s Christmas Catechism: The Mystery of the Magi’s Gold in Akron, Ohio at the Akron Civic Theatre. Giveaway will remain open through December 11th. Giveaway is open to residents of the US only. Winner will be selected through Rafflecopter. The winner will have 24 hours to respond or a new winner will be selected. There is nothing quite the same as seeing live entertainment. Whether that entertainment is a Broadway show, a ballet, or a live sporting event, being at the show/game in person is just better than watching it at home. I think it all started when my husband and I were dating. He is a huge baseball fan, more specifically, a huge New York Yankees fan. He also is one to buy himself whatever he wants, two minutes after he knows he wants it - which makes it really hard to come up with gift ideas. You hear an idea that you think you can tuck away for later and then the next day, he is telling you about what he bought. (okay, maybe that is a slight exaggeration, but not far from the truth.) Since he is such a big fan of baseball, I started giving him the gift of baseball. Each year, I would choose a new city to travel to to see the New York Yankees play baseball. Many teams don't release their individual game tickets for sale early enough to have the tickets on hand, but I would find the game and then print out a certificate that told him what games we would be going to. One more than one occasion, he has also purchased tickets for me. The tickets that he has purchased for me are typically to go see a live performance. When I was pregnant with my son, he bought me tickets to see Annie live on stage in Pittsburgh. One of the best things about the gift, it was truly a gift for him to take me to see Annie - it is certainly not a show that he would have chosen for himself. But tickets to games or shows, does not need to be limited to adults. I love taking my kids to see shows. Many theaters offer family packages and/or $10 tickets to shows. The tickets at that price are limited, but they give you the opportunity to share the experience without breaking the bank. We are fortunate, that in addition to regular shows, that we have been able to take in shows geared towards children. We have seen groups like Imagination Movers in concert, a local Children's Ballet group perform Fancy Nancy and Madeline ballets, storybook shows such as If You Give a Mouse a Cookie and Wrinkle in Time by a Professional Theater Company for young audiences and families, and shows like Disney on Ice and Phineas & Ferb Live. Each of these experiences can be used to teach children about the arts and to see familiar things transformed into live performances. The holidays can be a great time to give someone the gift of show tickets (and sporting event tickets). Many theaters, having thought of this too, will send out their annual performance information just in time for the holidays. I managed to completely fail to get to CVS last week. I had great plans and even printed my coupon for the free Essence of Beauty hand cream. But, things didn't work out. This week, the draw is the better than free after ECB chocolate deal. There may be a limit to the number of CVS coupons you can use for the same items, so I may have to split the transaction in two. Total $1 OOP, earn $3 ECBs. Total $4.96, pay with $3 ECB and $1.96 OOP. Earn $3 ECBs. For the trip, the total OOP is $2.96, with $3 ECBs to roll for about $16 in product at sale prices. A savings of about 84%. Whether a Princess, a Doctor, a Pirate, a Clone Trooper, a Dancer, a Construction Worker or Superman, playing dress up is a great activity for children. There is something that is simply magical, almost transforming when a child puts on dress up clothes. It gives them license to be someone or something completely different than who they are. Sure, children can pretend without dress up clothes, but dressing up takes it to the next level. My kids love to play dress-up. On any random day, it is not completely uncommon for them to decide it is time to dress-up. I think this is a great way for them to be creative. Plus, it is a great way to entertain them on a cold or rainy afternoon, where playing outside just isn't an option. You don't need to have fancy stuff for dress-up. Before we had dress up clothes, I can remember tucking a baby blanket into the back of my son's shirt so that he could be transformed into a super hero. He would fly around the house and return regularly to be re-tucked. Or using a hat and a handkerchief tied around the neck to create a cowboy, who of course rode off on our rocking horse. Hats can be a great dress up accessory - plastic fire fighter hats, a Diego adventurer hat, a cowboy hat. Then, we started our collection of dress-up clothes a few years ago at Halloween. After the events were all over (we try to maximize the number of events where the kids can dress up), we hung the costumes in their closets. We now have a Fairy Princess, a Tinker Bell, a Superman, a Darth Vader and a Clone Trooper in our former Halloween collection of dress-up clothes. Sometimes though, we buy things specifically for dress-up play. One of my favorite places to buy dress up clothes is My Princess Party to Go. I found them a few years ago, when I was looking to get some additional dress-up clothes for my daughter. We had been to my niece's house for her birthday party and the two girls had so much fun dressing up as princesses, complete with shoes, jewelry and crowns. After watching them play, I simply had to get some princess wear for our house too! My Princess Party to Go has always impressed me with the quality value of the product and the quality of their courteous customer service. The dresses they offer cost less than what I had been seeing at the store and the quality of the dresses have been completely satisfactory. They offer princess dresses, tutus, tiaras, wands, boas and more for girls. For my son, we have purchased prince capes and crowns and a pirate ensemble. Unfortunately, my daughter is starting to reach the top end of the princess dress sizes (for the most part they go up to a size 7) that are available at My Princess Party to Go, but she can still wear the tutus and fairy wings. My kids enjoy dressing up and I am glad that we have a full assortment of random dress up clothes and accessories to foster their imagination. Sometimes, they will pull out a full outfit, other times it will simply be some of the accessories. I enjoy listening to the tales, describing what they are doing, "pretend that..." as they play in their dress-up clothes. Even my son, who has mostly moved beyond dress up play, still will on occasion turn into a clone trooper for a little while. My daughter and her friends and cousins, love putting on shows for us. Whether in a Sunday dress, a princess dress, a tutu, or a dance leotard, they will come down, announce their show, asking us to sit down and will come out singing and dancing. This is another reason I am glad that we have a good collection of dress up clothes - so that there are enough for the kids and their friends. As a mom, I like that dress-up clothes allow them to be creative and imagine. I think that pretend play and imagination are important in their development and that is part of why I recommend dress-up clothes as a holiday gift (or really, anytime). No compensation was received for this post. All opinions expressed are my own or that of my family. It seems that I might have gotten a little bit behind in announcing some winners, so here are the winners of several giveaways that have recently ended. Congratulations to Nichol! Their entry was selected as the winner of the SafeSkin Kids Antibacterial Gel giveaway. Congratulations to Debbi! Their entry was selected as the winner of the Green Giant Seasoned Steamers Gift Pack giveaway. Congratulations to Jessica Marie, Jessie, Jessica, Natalie and Allison! Their entries were selected as the winners of the Free Method coupons. When the first three were drawn, I was wondering if this would be a Jessica/Jessie exclusive giveaway, but Natalie and Allison changed that. Congratulations to Jenny! Their entry was selected as the winner of the Sweaty Bands HeadBand giveaway. Thank you everyone for entering. Be sure to check out the current giveaways and watch for some new giveaways in the coming days.